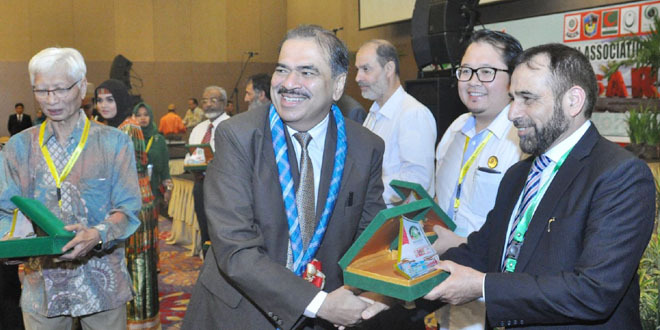 PIMA is an active member of federation of Islamic Medical Associations (FIMA). Islamic Medical Associations of more than 30 countries are member of FIMA. PIMA has contributed in global medical relief services in collaboration with FIMA. At present PIMA is having the position of Secretary General of FIMA. PIMA also sends Medical Students in Summer Camps organized by FIMA. PIMA has contributed in publishing FIMA year book on “Recent Medical Research”. FIMA started this project in year 2003, to provide a platform for hospitals and clinics in member countries. The objective is to organize the hospitals and clinics to uphold the professional ethical Values. At present PIMA is holding the position of General Secretary of IHC. FIMA started this project to provide a platform for Islamic Medical Colleges in various countries. It helps to share experiences and to promote professional ethical values in the Medical Students. PIMA is playing an active role in CIMCO and at present PIMA is holding the chairmanship of CIMCO. This project of FIMA was started in 2005. PIMA is one of the most active members of FIMA and at present is holding the position of Director of FIMA Save Vision Project. More than 250 Free Eye Camps have been organized in 12 countries and 5,50,000 patients have been treated so far. Fifty thousand Eye Surgeries have been performed. Save Dignity is an important project of FIMA. Free Camps organizes in different countries especially in Africa in which RVF & VVF surgeries performs. At present PIMA is holding the position of Chairman of Save Dignity Project.